The new report, prepared by the UW Center for the Study of Teaching and Policy for the Office of the Superintendent of Public Instruction, takes an in-depth look at one of the most significant changes in statewide education policy in recent years. 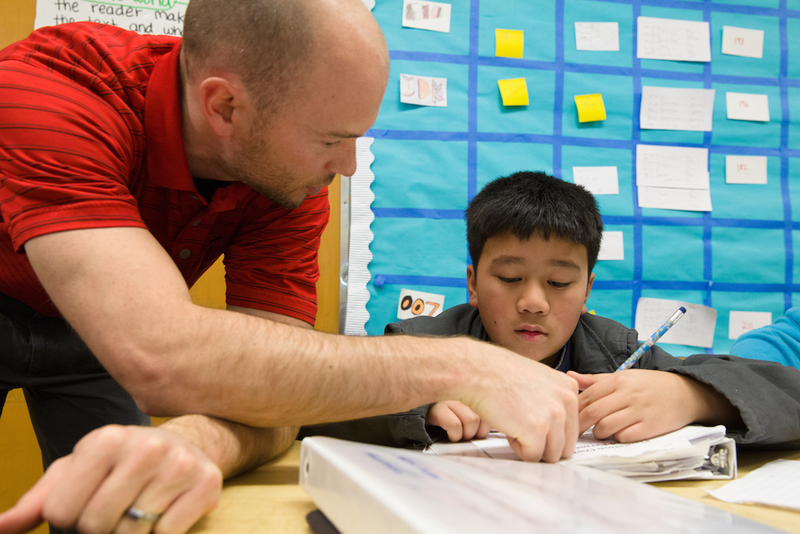 For many districts around the state, the launch of Washington’s teacher and principal evaluation program (TPEP) led for the first time to the use of instructional frameworks, which describe what effective teaching looks like in the classroom. “Incorporation of the instructional frameworks has been among the most valuable aspects of the evaluation process because of the coherence it can provide in ongoing instructional improvement efforts,” said Ana Elfers, a research associate professor and co-author of the report. Among teachers, researchers found there is general agreement that the instructional framework adopted in their district provides a common language to talk about teaching (89 percent somewhat or strongly agree). Meanwhile, a majority of superintendents surveyed (83 percent) indicated that professional conversations prompted by TPEP about what constitutes effective teaching have had a positive or very positive impact on their district. A majority of teachers agreed that TPEP increased collaboration with other teachers, and that collaborating with others about their TPEP goals was useful. A majority of principals and assistant principals surveyed also reported that TPEP had improved the quality of professional collaboration in their school. However, the researchers noted that districts and schools with well-functioning professional learning communities prior to TPEP implementation saw the most positive impact when adopted as a professional growth model. How TPEP was implemented was often a reflection of the organization’s leadership capacity and belief systems, and time to conduct the evaluations was the greatest challenge. The study—which surveyed teachers, principals and superintendents across Washington and conducted in-depth case studies in nine districts—also pointed to the crucial role of school leadership in supporting teacher evaluation in a productive and authentic manner. More than four-fifths of teachers agreed that their administrators use the instructional framework to discuss effective teaching practices and that their evaluator gives them feedback on their student growth goals. And nearly three-quarters of teachers agreed that their evaluator gives them suggestions for improving their teaching, while also agreeing that school leaders have created an environment that supports professional growth and risk-taking. However, engaging in more in-depth conversations with teachers also has contributed to a growing workload for principals. Among other findings, a majority of teachers (71 percent) that their evaluation recognized and built on their knowledge and experience and 63 percent of teachers agreed that their evaluation has been directly applicable to their work, but more than half of teachers disagreed that their evaluation improved their skills to meet the instructional needs of students from diverse backgrounds. While the growth in meaningful opportunities to improve instruction in Washington’s schools is a positive development, the researchers noted that additional investments are needed to continue that momentum.